Sears, Roebuck and Co. and Kmart Corp. have issued a large product recall for dehumidifiers which can overheat, smoke, melt and catch on fire. The voluntary recall, issued in cooperation with the Consumer Product Safety Commission (CPSC), is for 795,000 Kenmore Dehumidifiers. The devices were manufactured by LG Electronics (TIanjin) Appliance Co. Ltd., of Tianjin, China. There have been 107 reports of incidents involving injury, including three cases of smoke inhalation. The humidifiers have caused more than $7 million in property damage. The product recall covers 35-, 50- and 70-pint dehumidifiers which were manufactured between 2003 and 2005. They were sold at Sears and Kmart stores nationwide as well as the stores’ websites from 2003 to 2009 for between $140 and $220. If you suspect you have a defective device, click the link below to see if your product model number is on the list and how to contact the store. Consumers who own a defective device are advised to immediately stop using it and unplug it. They will be compensated with a gift card which can be used at Sears or Kmart, as well as with a $25 coupon to purchase a new device at Sears. 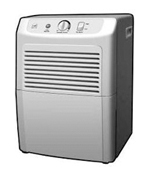 LG Electronics Tianjin Appliance Co. issued another dehumidifier recall in 2009 and again in 2011 for 98,000 units. The Goldstar and Comfort-Aire dehumidifiers had a power connector which could short circuit, posing a fire risk. The company issued that recall after receiving 11 reports of property damage totaling more than $1 million. A Hudson, Mass. sustained $183,000 in damage from one of the defective dehumidifiers. Those dehumidifiers were sold at The Home Depot, Walmart and Heat Controller Inc. nationwide from January 2007 and June 2008. In that case, consumers were advised to stop using the defective products and contact LG to arrange a free repair at an authorized service center. Sears Recalls Kenmore Dehumidifiers Due to Fire and Burn Hazards, Consumer Product Safety Commission. Dehumidifiers Recalled by LG Electronics Tianjin Appliance Due to Fire and Burn Hazards, Consumer Product Safety Commission. Product Liability, Breakstone, White & Gluck. The Massachusetts product liability lawyers at Breakstone, White & Gluck of Boston have over 80 years combined experience handling injury cases. If you have been injured by a defective product, it is important to learn your rights. For a free legal consultation, contact us today toll-free at 800-379-1244 or 617-723-7676 or use our contact form.